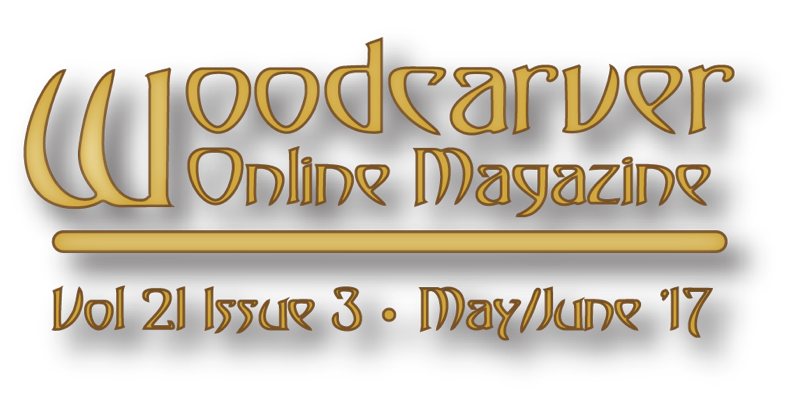 Wel­come to May-June edi­tion of Wood­carv­er Online Mag­a­zine. 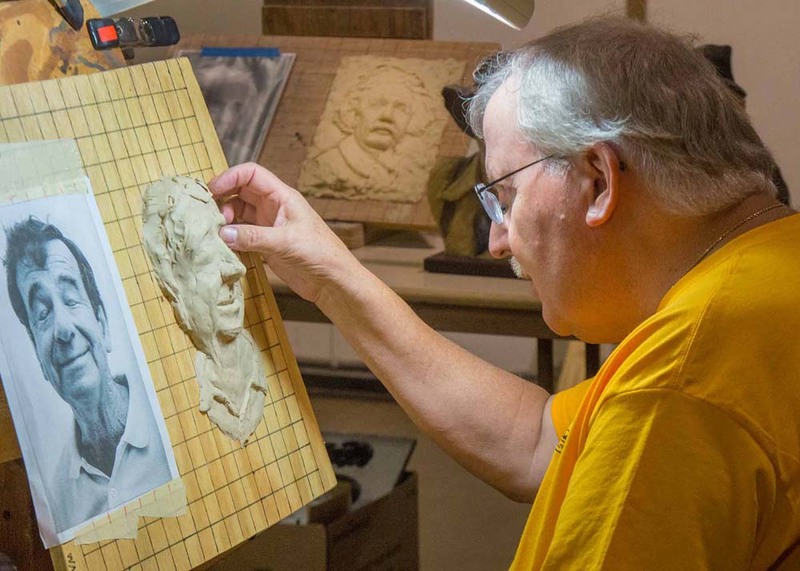 This issue includes a pho­to gallery of the carv­ing of Marv Kaiser­satt that were exhib­it­ed at the Maquoke­ta Art Expe­ri­ence dur­ing Con­gress Week 2016. 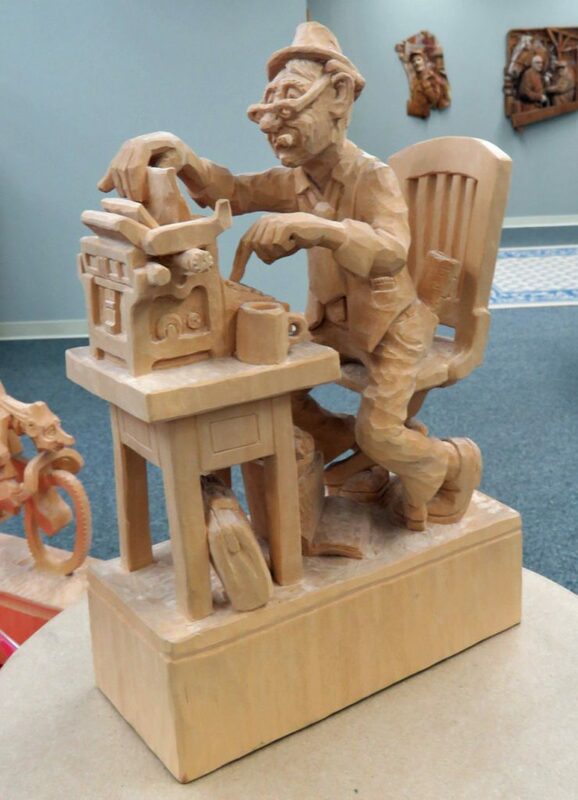 Dur­ing Inter­na­tion­al Wood­carvers Con­gress Week 2016, the Maquoke­ta Art Expe­ri­ence fea­tured an exhib­it of the work of Marv Kaiser­satt and Fred Cogelow. This issue fea­tures a pho­to gallery of the Kaiser­satt pieces that were on dis­play. (We’ll fea­ture the Cogelow pieces in a future edi­tion). 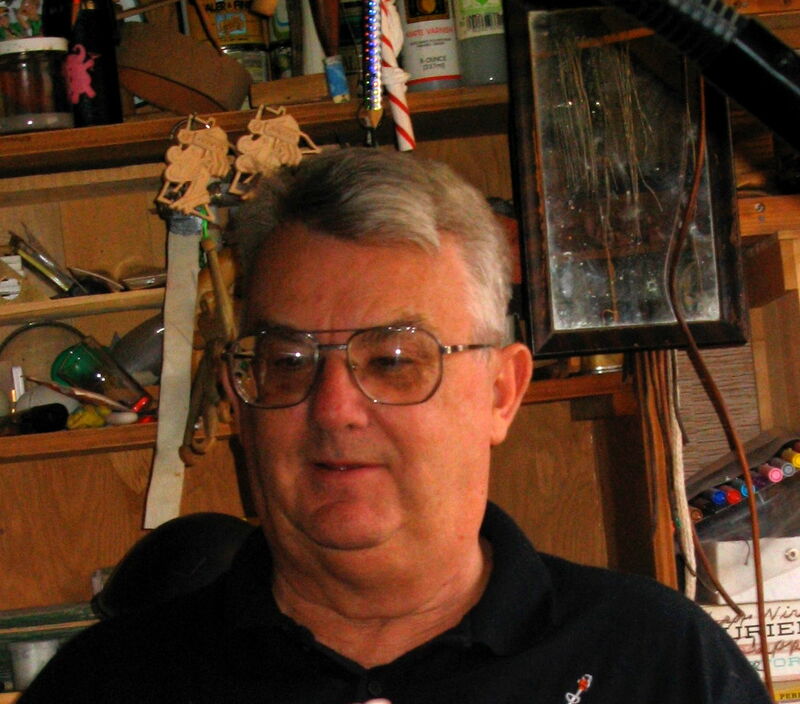 Marv Kaiser­satt is a nation­al­ly renowned car­i­ca­ture carv­er and long-time mem­ber of Car­i­ca­ture Carvers of Amer­i­ca. His body of work includes detailed mul­ti-fig­ure carv­ings from a sin­gle piece of wood, with no add-ons. 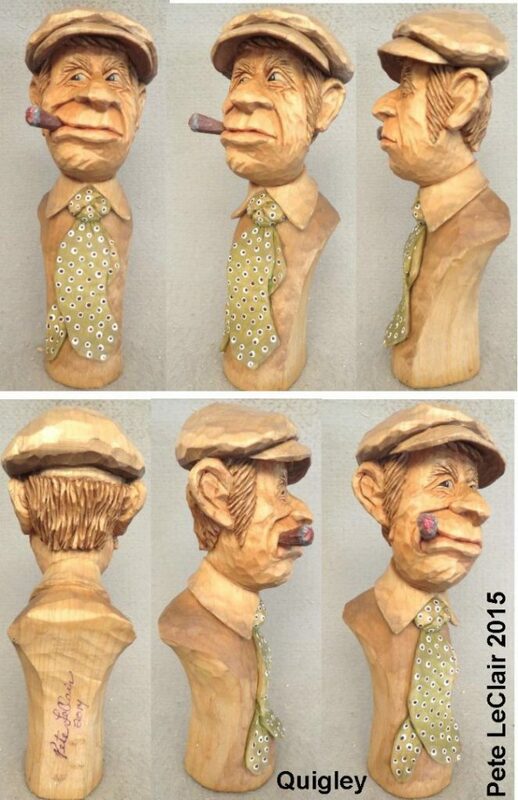 He is a mul­ti-year win­ner at the Inter­na­tion­al Wood­carvers Con­gress, was the Wood­carv­ing Illus­trat­ed Wood­carv­er of the Year in 2006, and is the author of Cre­at­ing Car­i­ca­ture Heads in Wood and on Paper. After you view the gallery below, tour Marv’s stu­dio on the Car­i­ca­ture Carvers Of Amer­i­can web site — click HERE. Dur­ing Con­gress Week 2017, the Maquoke­ta Art Expe­ri­ence will fea­ture the carv­ings of Adi­na Huck­ins and Janet Cordell, June 10-June 18. 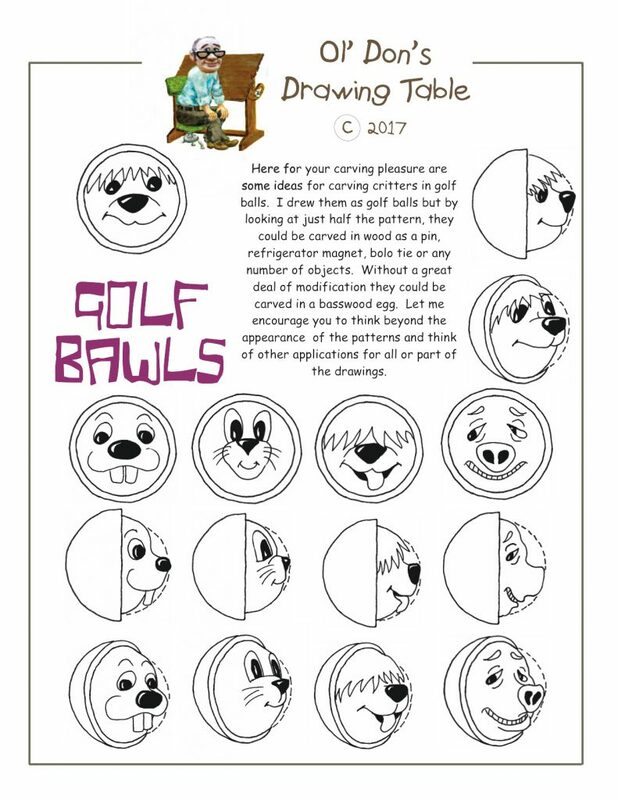 For more infor­ma­tion about the Inter­na­tion­al Wood­carvers Con­gress click HERE. For more infor­ma­tion about the Maquoke­ta Art Expe­ri­ence click HERE. 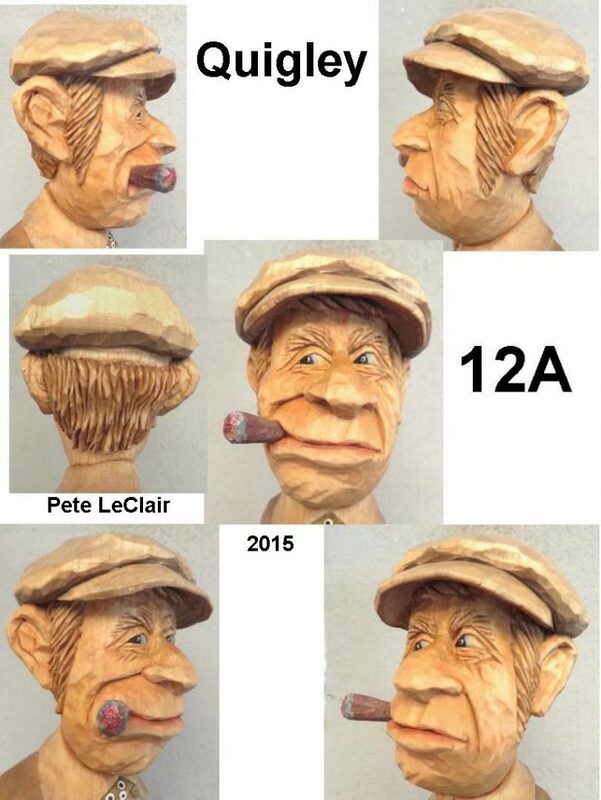 Pete LeClair is a well-known carv­er and teacher, author of three carv­ing books and a mem­ber of the Car­i­ca­ture Carvers of Amer­i­ca. 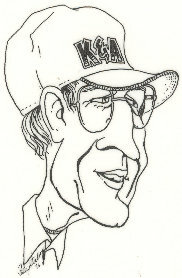 You may learn more about Pete at his page on the CCA web site. Be sure to tour the rest of the CCA pages when you have a moment. In addi­tion, you may email Pete at pet­ele­clair AT comcast.net. Pho­tos copy­right 2001 — 2017 by Pete LeClair. Copy­right 2011–2017 “Ol’ Don” Burgdorf. This Pat­tern may be copied for indi­vid­ual use; repro­duc­tion for resale is pro­hib­it­ed with­out express writ­ten per­mis­sion.